The national coordinator of Portugal’s Left Bloc (BE), Catarina Martins, on Wednesday lamented the departure of a number of leading members, saying that such events were always an occasion for regret for the party. She expressed the conviction that the party would continue to come across the 26 departing members “in common struggles” that they undertake. The 26 had announced their decision to leave the party on Tuesday, saying that “little remains of the original project” of 1999, when it was founded from the merger of three far-left groups. They criticized “the path of institutionalisation” that they see the party as having taken and its transformation “into a reformist project centered on its own survival”. 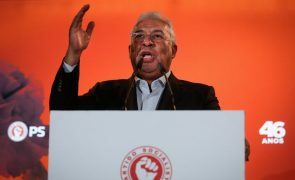 The BE, which has steadily increased its share of the vote in legislative elections since its formation — with the exception of the 2011 election — forms part of the parliamentary support base for Portugal’s minority Socialist government, along with the Communist Party. The deal was unprecedented in Portugal and has created internal tensions in the various signatories. “We’re always sorry” about members leaving, Martins told reporters in parliament. “The criticisms, as you know, were not even backed by those [other] people behind the same motion” at the party’s last congress. “I must say that I am absolutely certain that we will continue to meet in the common struggles where we have met until today,” she added of the 26. In a letter addressed to the party leadership, the group explain their reasons for leaving, harsh criticising the course followed of late and the party’s change into what they write is “a hierarchical and crystallised” organisation. “Conscious that little remains of the original project of the Left Bloc to be a political force as an alternative to existing society, we decided to leave the party in which we were actively members until now,” the letter starts. Among the 26 are three people who formed part of the group of signatories of the party’s founding declaration: João Carlos Louçã, Maria José Martins and Sérgio Vitorino.